Carrot is good for us because of the wonderful health benefits provided by carrot, but benefits of carrots are not just limited to health as there are also some beauty benefits of carrots and in this article, we will know how carrots can benefit our skin and hair. Consuming carrot is good for our skin as it keeps our skin healthy and vibrant. This skin benefit of carrot is because of the presence of a number of antioxidants and vitamin C in it. The antioxidants present in carrots helps in regaining the lost glow of our skin. For this, mix grated carrot with some honey and apply it on your face as a face mask. This inexpensive and convenient face mask will make your skin glow and that too without any ill effect on the skin. 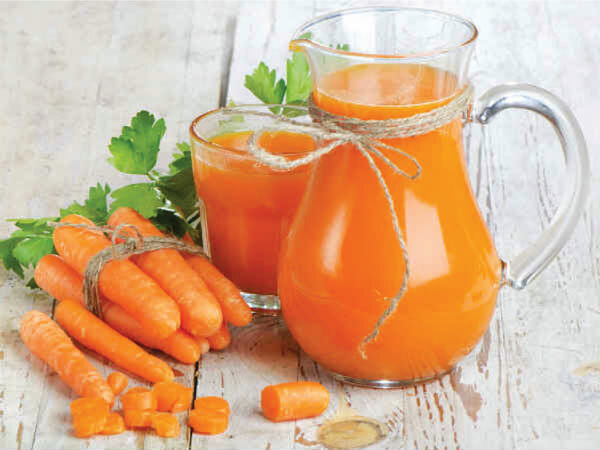 Regular consumption of carrot juice can help in providing relief from scars and skin blemishes. Other than this, you can also apply carrot pulp on your skin for clearing skin blemishes. Carrot is a wonderful anti-aging compound because of the presence of natural antioxidants like vitamin A and vitamin C in it. These antioxidants fights with the free radicals of our body, stabilize them and prevents them from damaging our skin cells and thus prevents the signs of ageing like wrinkles, pigmentation and uneven skin tone. Other than this, vitamin C helps in the prevention of wrinkles by aiding the production of collagen in our body which is a vital protein required by our for maintaining skin elasticity. 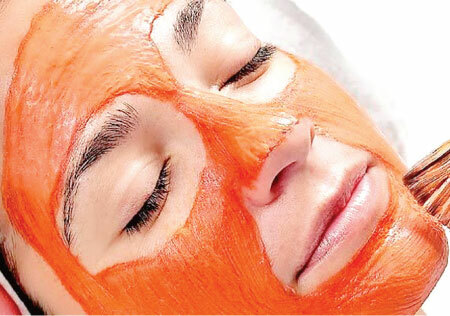 Carrot is very beneficial for our skin when it comes to protection against harmful radiations of the sun. This skin benefit of carrot is because of the presence of beta carotene in it. Beta-carotene gets converted to vitamin A and helps in repairing skin tissues and also protects our skin from harmful radiations of the sun. Other than this, the carrot is also a rich source of antioxidants and carotenoids which increase the immunity of our skin against sun rays and also heals sunburns. Regular consumption of carrot juice in summer acts as a natural sunblock. Carrot is very beneficial for people with dry skin because of the presence of potassium in it. So, if you have dry skin then you should start consuming carrot juice on a regular basis as it will prevent deficiency of potassium which is a major cause for dry skin, and at the same time it will keep your body and skin hydrated. Another method of using carrots for dry skin is to submerge a peeled carrot in a glass jar filled with coconut oil. Place the jar in sunlight for two to three days. Now, strain the oil and use it daily for skin moisturisation. Carrot is good for our skin as it helps in keeping our skin healthy and vibrant, prevents premature signs of ageing, treat sunburn but skin benefits of carrots don’t end here as regular consumption of carrots ( in moderation) is also very effective in preventing and curing various skin ailments like pimples, acne, rashes, dermatitis etc. because of the presence of antioxidants and vitamin A in it. The important thing to remember is that you don’t consume it too much as excess consumption of carrot can temporarily change your skin color to yellowish orange. Carrot is very beneficial for people with oily skin as it can help in making their skin healthy and glowing. For using the carrot for oily skin, boil a carrot in water and blend it in a blender. Now, mix two teaspoons of honey to it and mix well to form a smooth paste. Apply this on your skin ( make sure that it’s not too hot) and leave it on for twenty minutes and then rinse it off with lukewarm water.